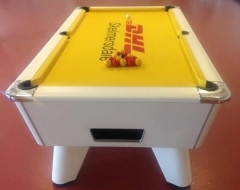 Here at CGQ Snooker clients can order specialist digitally printed cloth with their corporate logo on to tie in with their brand, perfect for a new office opening or staff room pool table. Either way, the resulting look is a superb addition to the company’s leisure offering and promotes the company image in a positive way. 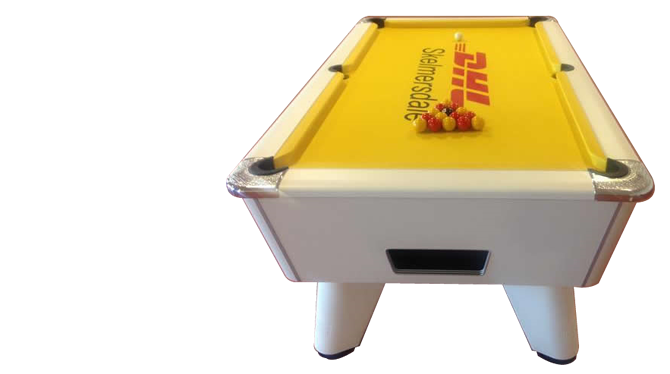 The reproduction of the logo on to trade quality nylon speed cloth does not affect game play and will last as long as usual pool table cloth. 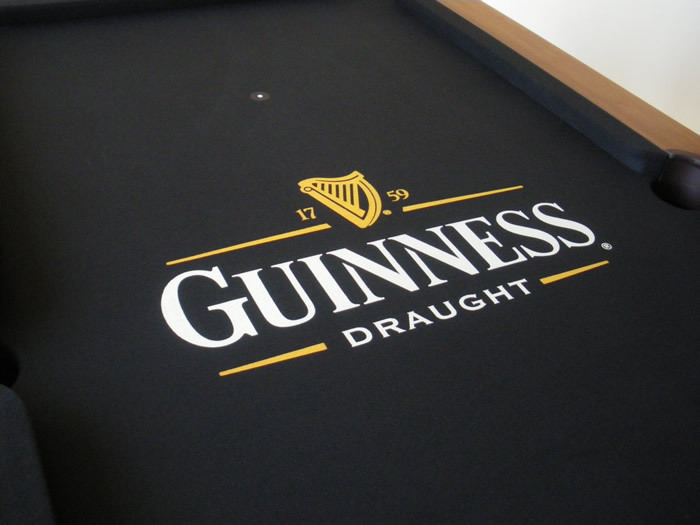 For commercial venues, a customised cloth can increase income by up to 40% and also greatly increase awareness of a brand or product as it will 'always be on display'. 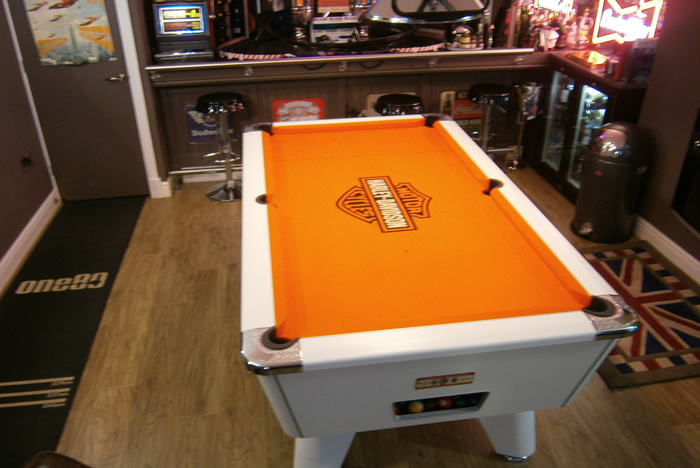 Likewise a customised cloth in the home games room definitely has the 'WOW' factor and is always a talking point. 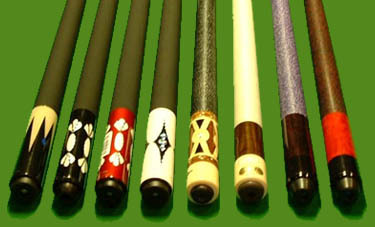 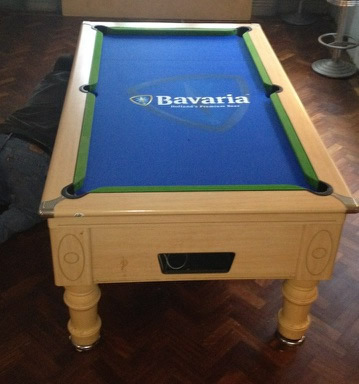 Commercial outlets utilise the cloth on their pool table to promote predominantly drinks brands. 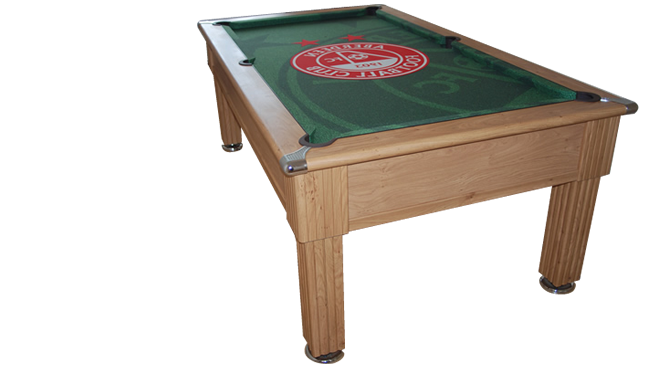 Permission from the copyright/legal holder has to be sought prior to an order being placed. 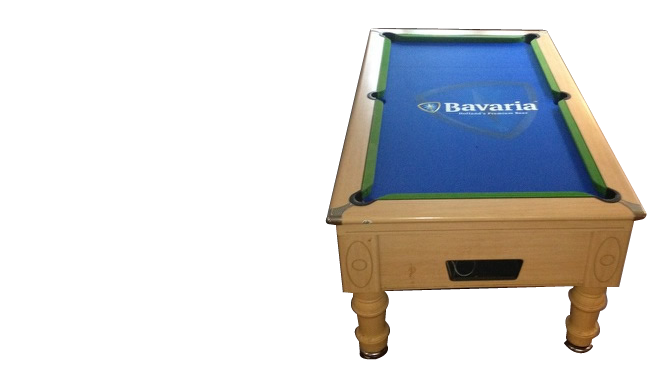 If permission has been granted by a legal owner for the cloth to be made, we will present clients 2 image files (jpegs) to choose from, after having created the image based on the customers requirements. At this point we can fine tune the jpeg design until we have the exact specification.